The focus of guidance at Year 7-9 is on helping students to form a clearer idea in their own minds of who they are. Finding your identity is as much about knowing who you are not or what you don’t like, as it is about who you are and what you do like. In establishing these, we can then look forward to making choices that are appropriate for development on an entirely personal and individual basis for each of our girls. Then follows a journey of discovery to enable every student to reach her own conclusions. Girls are also introduced to techniques for developing an ‘Enterprise Mindset’ through activities which help them identify, make the most of and create the best opportunities for them. By Year 10 the girls have already narrowed their range of subjects slightly for GCSE and they will also be looking ahead to A Level options. As soon as they start their GCSE courses we begin to look ahead, pulling in a range of employability skills including building positive and professional online and offline profiles (including LinkedIn), interview techniques and writing applications. 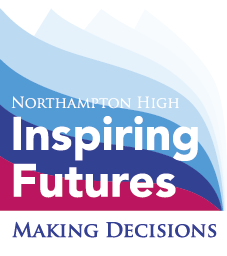 Tailored guidance and support for girls in making their A Level choices is given at strategic points throughout the two years and includes an individual consultation in Year 11, including parents, with members of senior staff to discuss the best routes forward.